Free hit is a one kind of delivery which has been introduced in modern fancy cricket format 20-20 cricket. And also it has been recently introduced in one day format (India vs Australia 2007 one day series). Free hit is a gifted delivery by a bowler to a batsman where he can hit a ball freely with out concerning fielders on the ground. It is called as a free hit because the batsman in no way can be given out (Except run out). A batsman can express or expose his pinch hitting style of batting from no where situation to smash or shatter a ball for a four or a six. It is a small little beautiful moment where both the batsman and crowd gets thrilled and intense. The ball can be declared as a Free hit delivery if and only if it is a front foot no ball. Even if the batsman is stumped he will not be given out. He can be given out only if he is ” RUN OUT “. If a ball is a front foot no ball then the next ball will be declared as Free hit, now at this scenario the captain of opposite side cannot change his field until a Free hit ball is delivered. Free hit ball is allowed only in 20-20 and one day formats. This delivery is not included in Test matches. 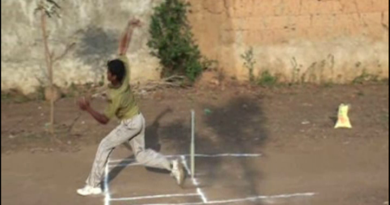 Now if a bowler bowls a next ball as a wide then what happens ? And now if a bowler bowls a next ball as a No ball then what happens ? If a bowler bowls a next ball as a wide then the umpire will declare again the next ball as a Free hit which is a pending delivery of previous first No ball bowled. Since the wide ball is not a accountable delivery in a over, the umpire has declared a Free hit again. Even if the bowler bowls again a wide ball, the next ball will be declared as Free hit again by an umpire. 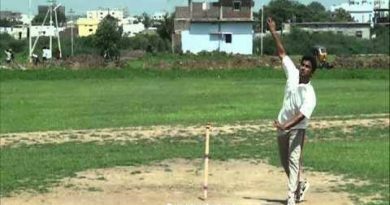 This process continues until and until the bowler bowls a perfect accountable delivery (Free hit) with out any wides and No balls. At the end of the day the bowler has to complete the pending delivery (Free hit) of first No Ball bowled. Similarly if a bowler bowls a next ball as a No ball then the umpire will declare again the next ball as a Free hit. If a bowler bowls two front leg No balls continuously ” some people think that there could be two free hits but thats wrong “, the Free hit of a first No ball bowled will be cancelled and the Free hit of a second No ball bowled will be continued. Similarly if a third No ball is bowled continuously, then the Free hits of first and second No balls will be cancelled and the Free hit of a third No ball bowled will be continued. At the end of the day a Free hit has to be a perfect accountable delivery with out any wides and No balls.